Highrisk Life Insurance Agency specializes in Life Insurance Approval with Celiac Diseas or Celiac Sprue! Finding an affordable life insurance policy with Celiac Disease or Celiac Sprue can be quite the challenge. In fact, tough life insurance cases are our specialty at High RiskLife Insurance Agency. Can People Who Have Celiac Disease or Celiac Sprue Be Approved for Life Insurance? Yes, most individuals with Celiac Disease or Celiac Sprue will be able to qualify for traditional life insurance, the type of insurance which requires a medical exam. Best Case Scenario – The best case scenario and the “Standard” rating can be applied for those who have had frequent symptoms of diarrhea and abdominal pain due to an undiagnosed case of Celiac Disease or Celiac Sprue. If these symptoms subside after diagnosis, treatment and long-term management, then it can be considered for the “Standard” health class. Those cases that have been diagnosed, but remain asymptomatic may also qualify for the “Standard” health class. Click here for quote at “Standard”. Moderate Case – Those cases that present more frequent mild to moderate symptoms of bloating, stomach upset and abdominal pain, but are without complications may qualify for a “Mild Substandard” health class. Click here for a quote at “Mild Substandard”. How many years have you been diagnosed with Celiac Disease or Celiac Sprue? 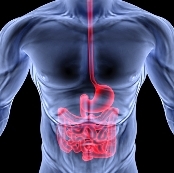 Celiac Disease or Celiac Sprue is a long-term condition, but the symptoms and complications can be managed well. Longevity of the condition, however, increases the probability of complications if not diagnosed early. If your symptoms are only occasional, you may qualify for a “Standard” rating. Symptoms of abdominal discomfort, diarrhea, fever or bloating may be flare signs and may get you a “Mild Substandard” rating. The need for medication for recurrent abdominal pain or diarrhea may be a sign of poor control of the condition and may get you a “Mild Substandard” health class. Regular visit to your gastroenterologist is a good sign of control of the condition and may get you a “Standard” rating. It is, however, necessary for laboratory and diagnostic exams to confirm the absence of complications to your small intestines. If you smoke, drink or do not avoid the foods that trigger your abdominal pain, diarrhea or constipation, it may be a sign of high risk practices and may get you a “Mild Substandard” rating. Celiac Disease or Celiac Sprue is an autoimmune disorder with an unknown origin, but is closely associated with genetic, immunologic and environmental factors. It is a life-long condition that may appear as early as the first year of life up to the elderly years. The distinct manifestation of Celiac Disease or Celiac Sprue is the marked malabsorption of nutrients. Mild cases are usually asymptomatic and are only diagnosed through incidental screening. For moderate to severe cases, however, the most accurate test result would be from a biopsy of the small intestine. Symptoms of Celiac Disease or Celiac Sprue vary by degree of malabsorption from mild symptoms of diarrhea or constipation, bloating, gas buildup, abdominal pain; to moderate or severe symptoms of fatigue, weight loss, anemia, vitamin and mineral deficiency or metabolic bone disease.